Foster care now can extend until age 21. What do older youth need to thrive? Professor Mark Courtney’s research over nearly two decades on what happens to youth in foster care after they “age out” of the system and are emancipated as adults has shown better outcomes in a number of measures for foster care children who are able to stay in care longer. These longitudinal studies have been a key resource for advocates who have successfully pushed the federal government and state and local child welfare agencies to raise the age of emancipation to 21. His current research is now focused on what child welfare programs are the most effective for older youth, who are different in many ways than the younger children who have traditionally been in foster care. 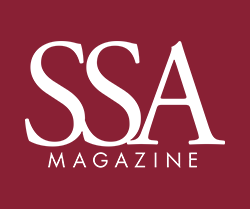 As the University of Chicago advances its aspiration to become a model urban university, SSA will continue to be at the vanguard of efforts to deeply engage with the city of Chicago and other global urban centers, bringing high-impact scholarship to bear on the most difficult and complex challenges facing urban life. We are well prepared for this task and intent on rigorously shouldering the responsibility. To talk about the implications of the growth of the community health center model, Jeanne C. Marsh, SSA ’s George Herbert Jones Distinguished Service Professor, spoke with Donna Thompson, the chief executive officer for Access Community Health Network (ACCESS), and Linda Diamond Shapiro, AB ’77, AM ’78, MBA ’88 (Booth), ACCESS ’s vice president for strategy, planning and external affairs. A new study shows that the household status of “below the poverty line” is far from one homogeneous category, and that the number of extremely poor families is rising. As more and more children grow up in single-parent families, it’s a challenge making sure non-custodial parents, usually fathers, pay child support. Federal rules impose stiff penalties on working parents who don’t pay. In many cases, however, this tough approach seems to be failing. Veterans, who make up almost 10 percent of the American population over the age of 18, suffer lower rates of material hardship than those who did not serve, according to research. However, disabled veterans are just as likely to suffer material hardship as other disabled people, according to a study published in the March 2012 Social Service Review. Robert Fullilove regularly makes a long commute from his job as associate dean for community and minority affairs at Columbia University to a prison in upstate New York, where he teaches college courses to inmates. When released, many of the men make the same journey as Fullilove, returning to their old New York neighborhoods, often serving as a link in the spread of HIV/AIDS among both this male population and, increasingly, the women in their communities back home. More than half a million children live on the streets of the main cities of Bangladesh. Living without their families, facing hunger and danger, they survive in large part due to their social networks. The Patient Protection and Affordable Care Act (ACA) has already survived a bruising fight through Congress, a legal challenge before the U.S. Supreme Court, and promises of repeal by the 2012 Republican candidate for president. Its biggest test, however, might be yet to come. The Matching Gift Challenge is intended to encourage a community of supporters for SSA’s field education model. SSA’s Samuel Deutsch Professor Emerita Dolores “Dodie” Norton has spent four decades building a legacy of personalized teaching and original scholarship. Megan Flynn, a second-year student and the first recipient of SSA’s Dolores Norton Endowed Scholarship in Early Childhood Development, has taken her first steps down a similar yet ultimately distinct path.